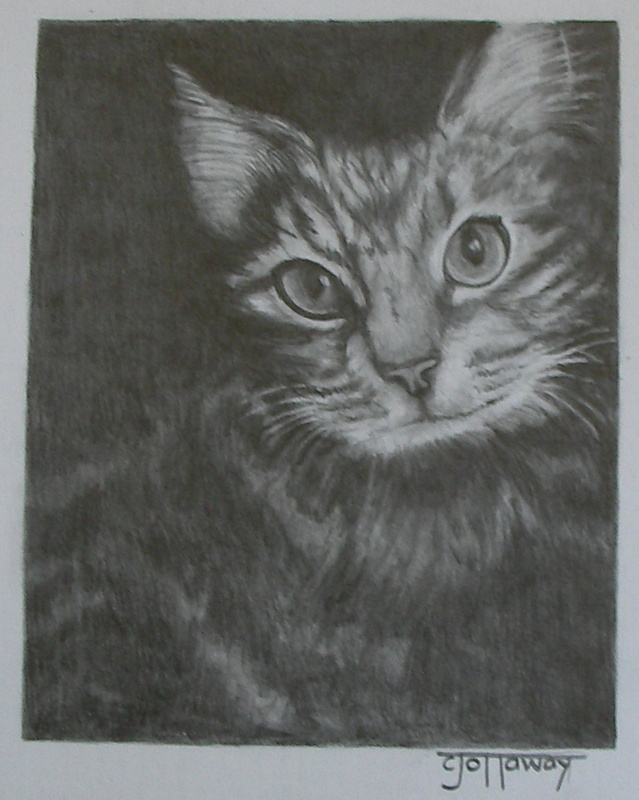 This is my second attempt at drawing a cat. Again, I choose another difficult composition. They make the most interesting artwork, but it definitely makes it more difficult. I guess you are wondering why I am drawing so many animals. Well, one reason is that I have discovered an amazing author and artist. She is so good that I bought four of her books. What makes her even more incredible to me is that she even works in the same mediums that I finally decided to focus on which is graphite, colored pencil and acrylic. I think she has written at least sixteen books and although I only have four of them I will have the rest before all is said and done. The second reason is that I just enjoy drawing animals, dogs especially. On an unrelated note: Here in my neck of the woods it is suppose to be raining and it did a little early this morning. But now we have clear skies, and 76 degree weather! It looks like a photograph!